1/159 David Mumpower This was the most awe-inspiring movie experience I have had since The Matrix in 1999. A masterpiece of dystopian chaos. 1/65 Kim Hollis Do yourself a favor and see this film today. Simply brilliant. 3/52 Les Winan Thought-provoking and clever, this is the action movie of the year. Clive Owen is predictably great. 6/68 Michael Bentley Very surprised this isn't getting more awards attention, it is a great futuristic what-if. 31/200 Max Braden It started too fast for me to connect to Owen's character. Based on the novel by P.D. James, this dystopic look at the future sets its characters in a not-very-distant future. For reasons that are not completely clear and that are unsolvable by modern science, the sperm count in human men has dropped to zero. The last human birth has taken place nearly a quarter century in the past, meaning that the future of mankind is looming at an end within a few generations. Such drastic times lead to horrific ideas. One leader encourages the sick and infirm to commit suicide, criminals are exiled, and immigrants are forced into slavery. At once, though, it seems that hope is alive. One woman is able to become pregnant, and obviously, her ability to conceive all the way to birth is vital for the continuing future of humanity. With the death of the youngest person in society causing even more terror, a former radical is assigned to protect the pregnant woman. 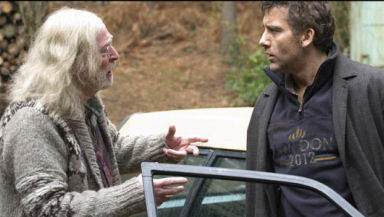 See the latest developments for this project on the Children of Men Movie News page.